What is the envelope budget? Different types of budgeting methods work for different people. Lately, the envelope budget has been one of the least spoken about budgeting methods. It may, however, be a useful method for you. This method of budgeting has been around for decades. It’s simple and effective. Basically, you separate cash into different categories of your budget using envelopes. By simply looking inside the envelopes, you can see how much money you have left in each expense category throughout the month. How can this personal budgeting system work for you? Australian financial expert, Canna Campbell, recommended this method. She stated that it’s especially useful for those living pay cheque to pay cheque. The envelope budget is a tried and tested budgeting method. However, you may want to consider using a more complex budgeting method for your entire monthly budget. It is ideal for non-fixed monthly expenses, such as groceries, entertainment, petrol and clothes. The system prevents overspending and helps you create better spending habits. It puts a limit on your non-fixed expenses. This helps you spend less throughout the month. Credit cards can cause you to overspend as you have more money at your fingertips. Once you have put money into the various envelopes, you need to make sure you do not use allocated money for other purposes. For example: the money that comes out of the Groceries envelope is only used for groceries. Read our blog: Should South Africans buy food in bulk? What if you don’t want to carry cash with you? One of the biggest concerns with this method is that it requires cash. In our increasingly cashless society, taking money out of the bank may not be practical for you. 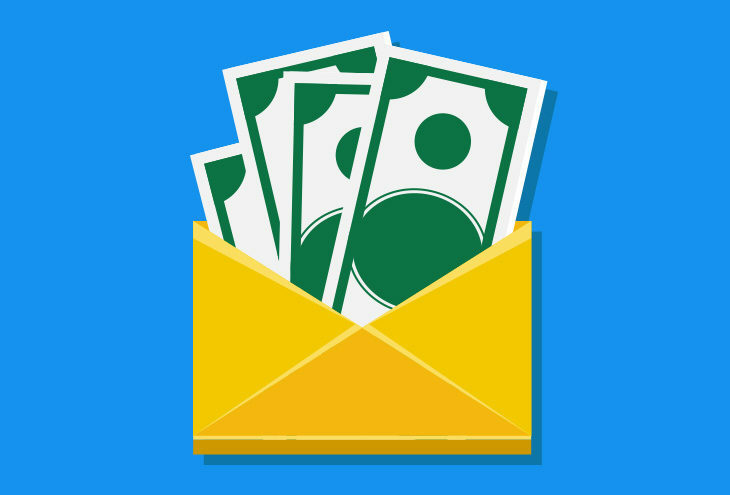 Consider downloading an envelope budgeting app to help you manage your cash flow effectively. This way you can make use of the tried and tested method without having to carry around cash. 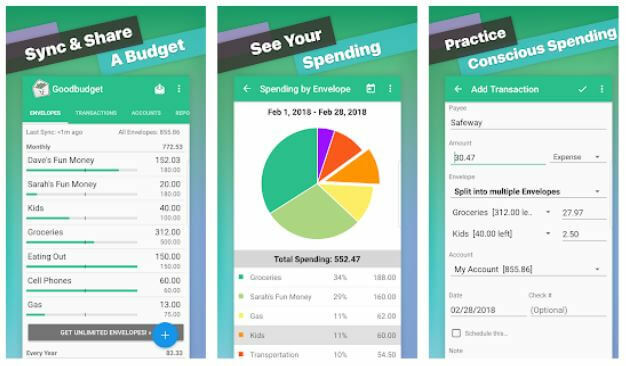 The Goodbudget app is an expense tracker that uses the principles of the envelope method. It allows you to link your bank accounts to the app. Instead of using cash and real envelops, you can create digital envelopes and allocate money into these envelopes from your bank account. The Mvelopes app also uses the envelope method digitally. 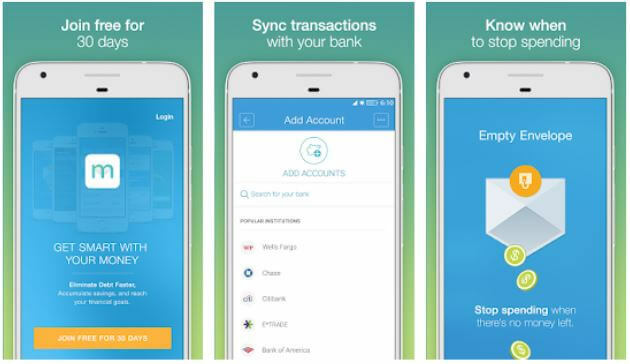 You can link banking accounts, credit cards and other financial accounts to the app. This way, you can view how much money you have in each envelope category. What do you do with any leftover money? Reward yourself: You deserve to reward yourself, even if it’s just with something small. Eat out or buy a pair of shoes you’ve been wanting. If rewarding yourself motivates you to stick to your budget, then go for it. Roll over the money to the next month: Add the money to one of next month’s envelope so that you have a bigger budget for the month. This can take a bit of pressure off your finances. Pay off debt: The more money you put towards paying off your debt, the quicker you can become debt free. Every bit paid towards debt helps. There are so many budgeting methods to choose from. While most of them are effective, each person needs to find a personal budgeting system that works for them. It’s essential to use your budget to learn more about your spending habits and create better habits to help you achieve your financial goals. If you’re struggling to make ends meet because of debt, please contact Debt Rescue as soon as possible. We will work out a debt management plan to help you pay off your debt and still have enough money for all your other expenses. 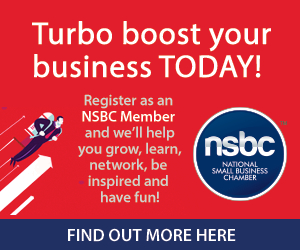 Debt Rescue is a proud Partner of the NSBC.